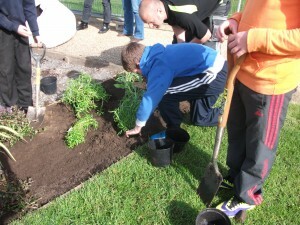 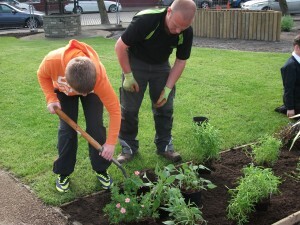 The Community Garden is situated on the Green at the corner of Criffel Street and Lawn Terrace. 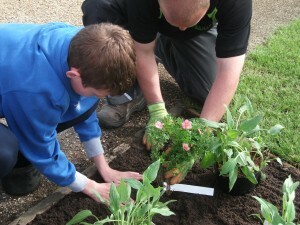 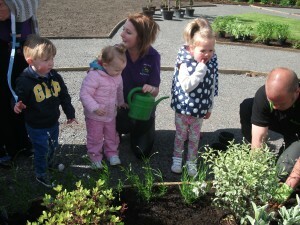 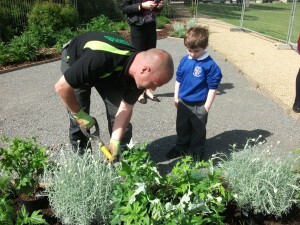 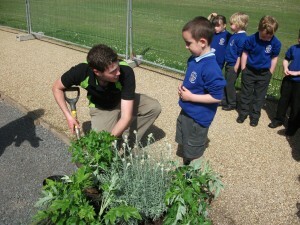 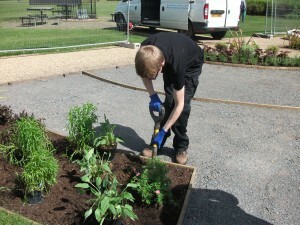 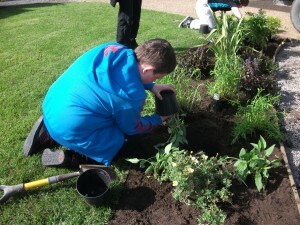 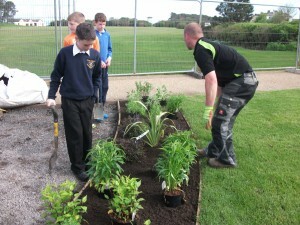 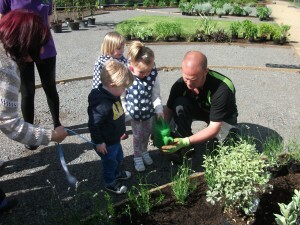 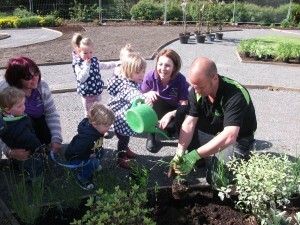 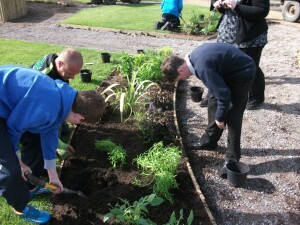 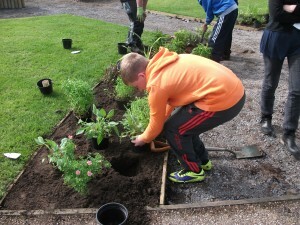 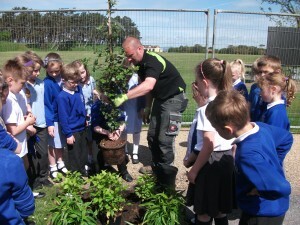 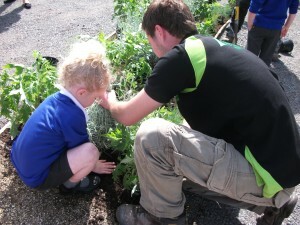 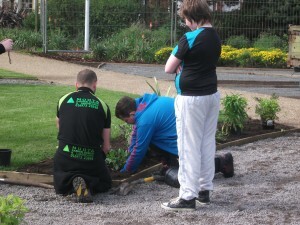 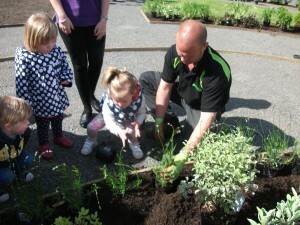 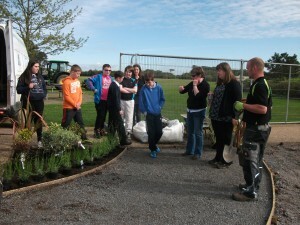 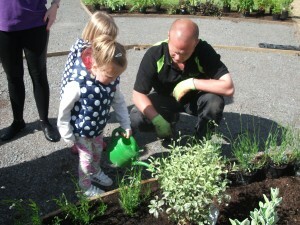 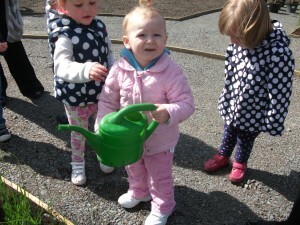 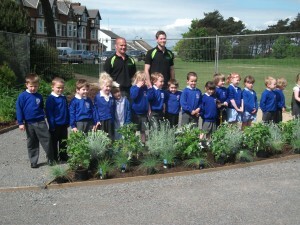 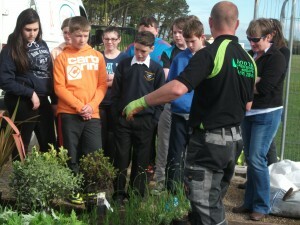 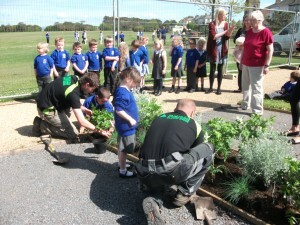 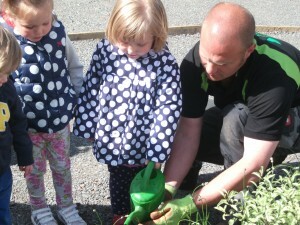 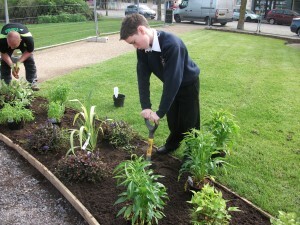 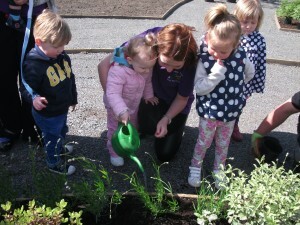 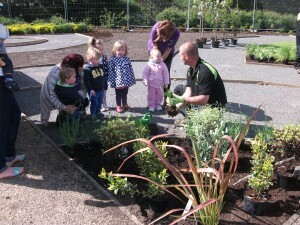 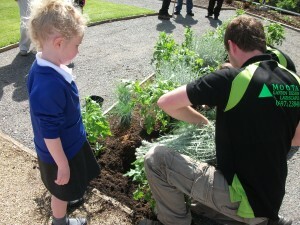 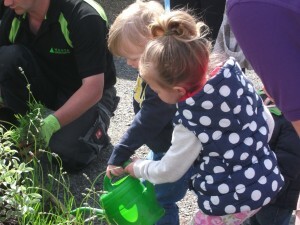 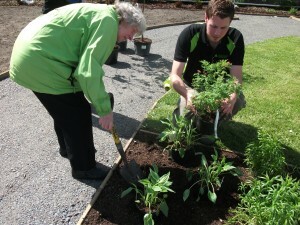 Heritage Lottery Funds were made available as part of the Green refurbishment Project for people in Silloth and area to create their own Community Garden on Silloth Green. 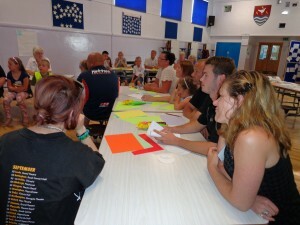 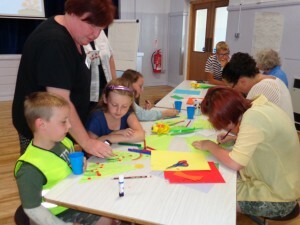 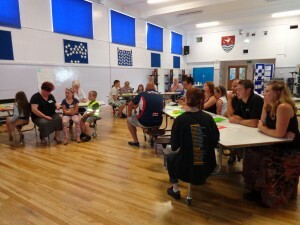 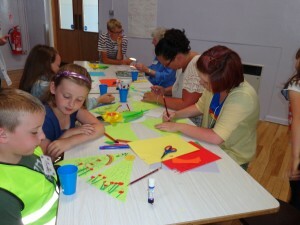 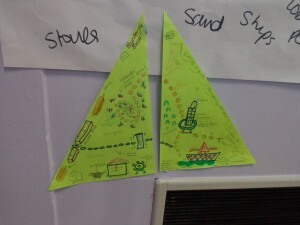 A workshop was held on 14th July 2013 to give local people in Silloth an opportunity to look through books and examine information before outlining their own ideas, either by giving a description to one of the workshop helpers, writing down their ideas or making a drawing. 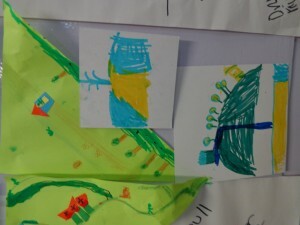 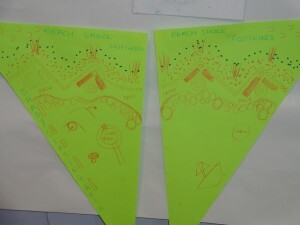 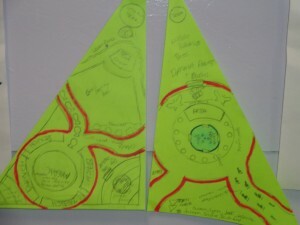 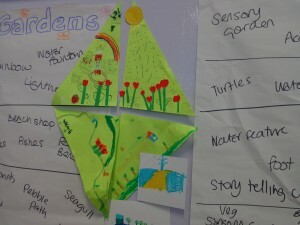 The idea was to help choose the colours and types of plants and come up with ideas for interpreting the Green’s heritage for inclusion in the overall plan. 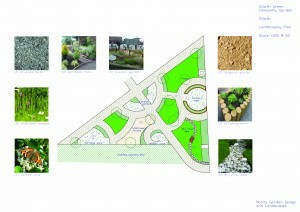 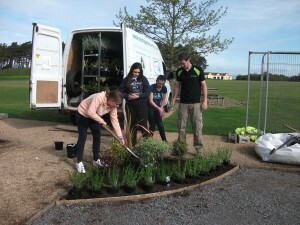 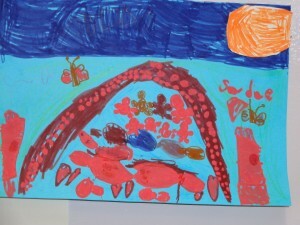 Subsequently Moota Garden Centre produced the final design, based on the ideas put forward at the workshop. 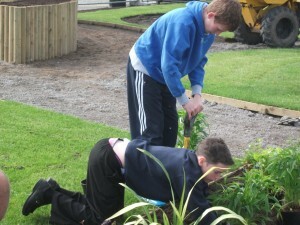 Work began on the Community Garden in mid April 2014. 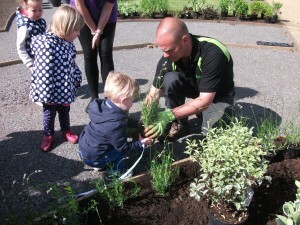 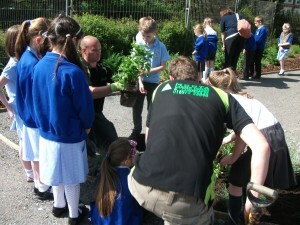 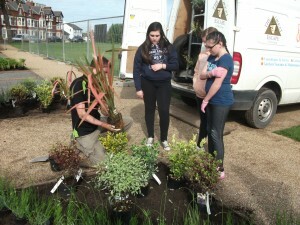 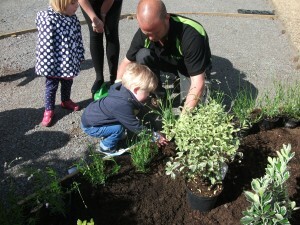 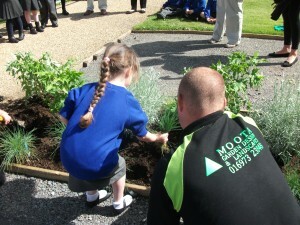 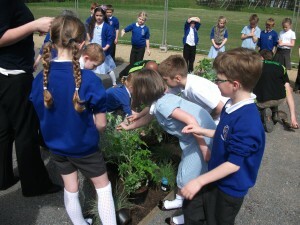 60 children and some members of the community adopted a plant and planted it professional support from Moota’s Landscape Garden Designers who drew up the professional plans based on the community’s ideas. 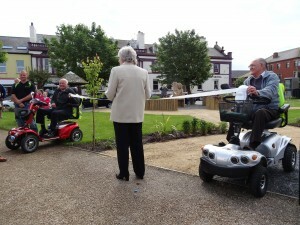 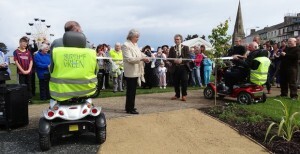 The garden was officially opened on the morning of Silloth Green day, Sunday 25th May, 2014. 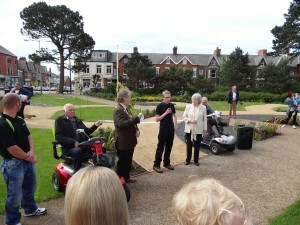 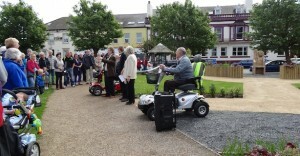 The Mayor Tony Markley and Friends of the Green Chairman, Owen martin, both gave a speech and Ann Winter, a local volunteer, cut the ribbon. 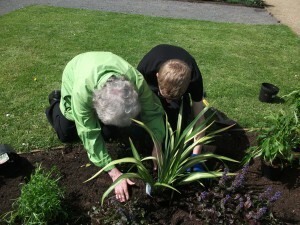 For many years, Ann has helped to tidy and weed the Green in her spare time, and now takes care of the Community Garden along with other members of Friends of the Green. 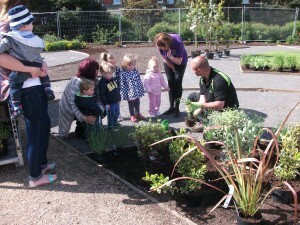 If you would like to volunteer and help look after the garden, please contact Friends of the Green or the Community Engagement Officer.